Last week I already announced the new admin center. 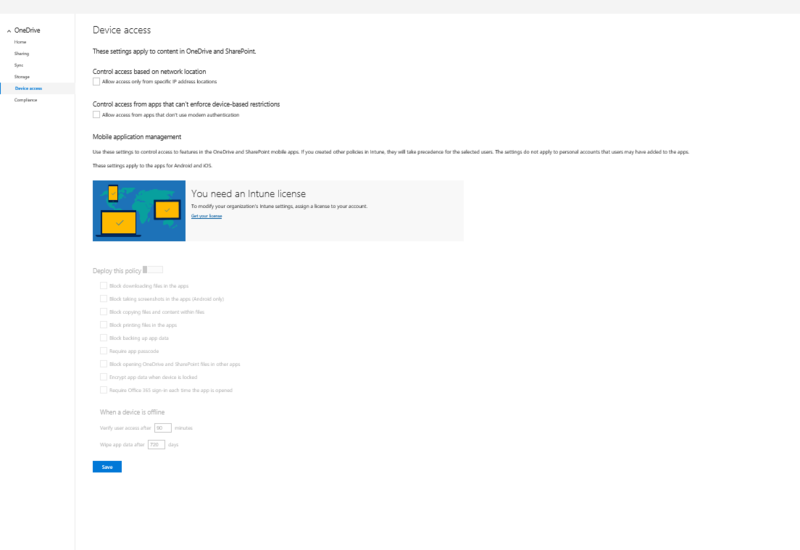 This week I tried again to visit https://admin.onedrive.com/. This time it all worked. Ok, that is a really impressive page! The sharing options are mainly related to option available to share documents with external users or not. If documents are externally shareable then there is also an option to do this through anonymous links which do not require any login or through links that do require a login. Additionally links can be made to expire after a set period. Options available are 3, 6, 9 or 12 months. Some useful settings here. It’s now possible to specify the domains users need to be one before they are able to synchronize documents. Also specified file types can be excluded. So for example files with extensions that are common for large files could be excluded. Within the Storage sections it is possible to control how much storage people can use. This can vary from 1024 GB up to 5 TB. Also the option to configure the expiry of files in the recycle bin can be configured within the storage section. 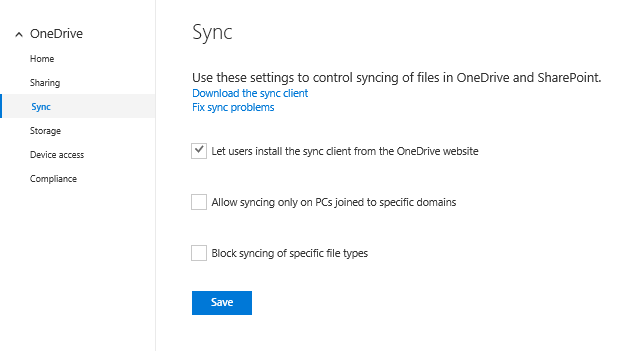 Many companies want to control which devices can synchronize OneDrive files. So for example depending on the network used (IP address). 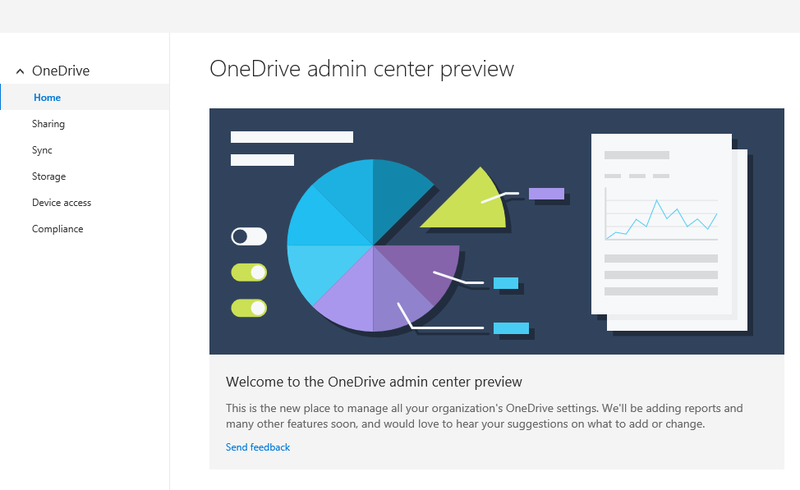 Ever wanted to look through the audit logs in OneDrive? 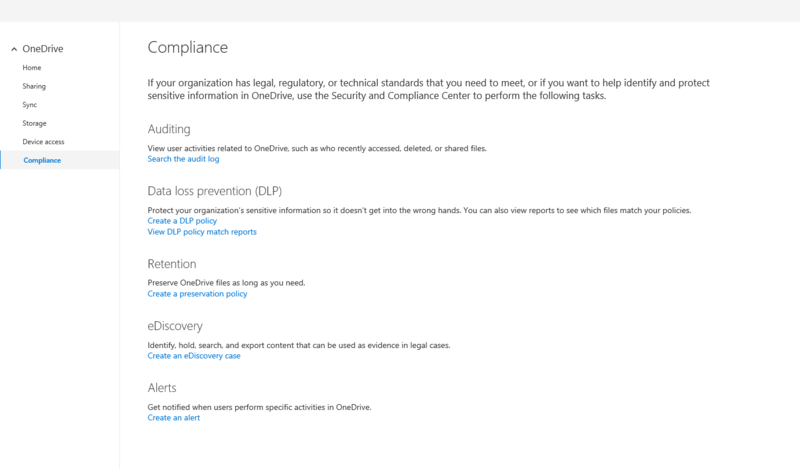 The link to the Compliance is now available within the OneDrive Admin Center. 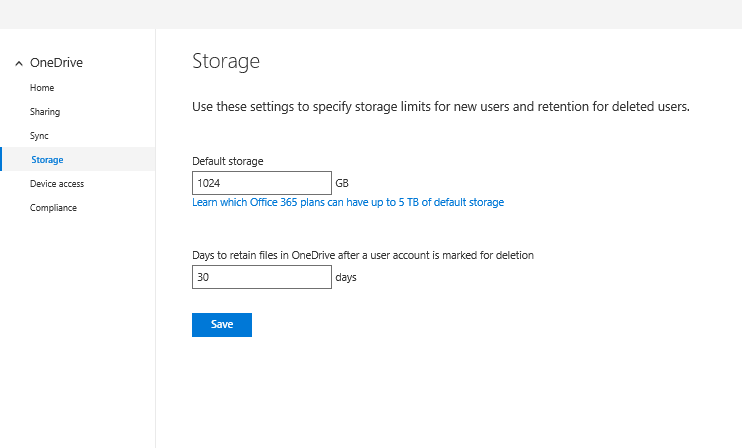 additonally settings related to Data loss prevention, Retention periods of files, eDiscovery and alert settings can all be controlled within the compliance section of the OneDrive Admin Center. 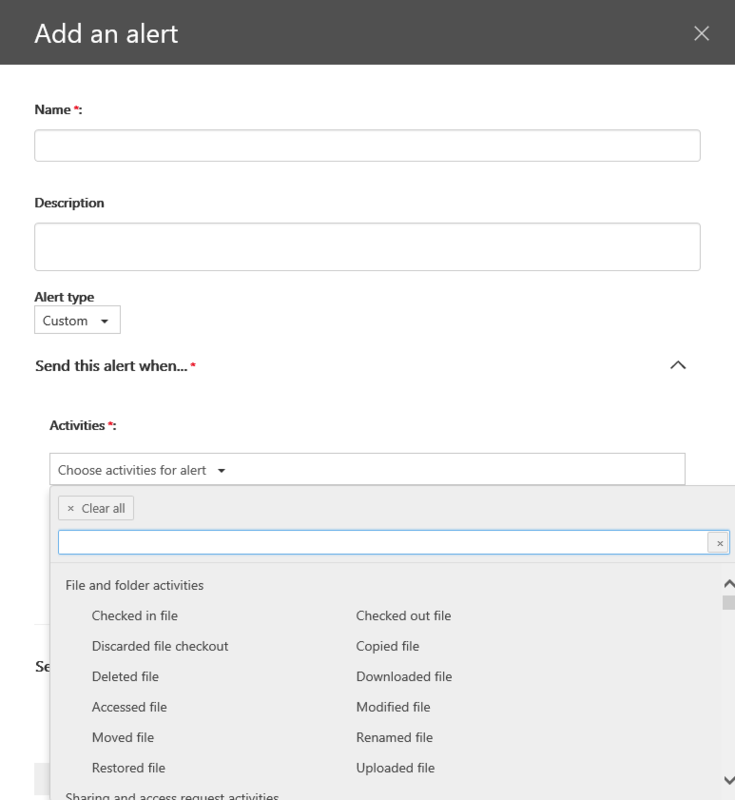 In the Alerts options it is possible to set alerts to catch certain actions users might use. So for example administrators could receive an email every time someone checks out a file.